The 1960-1970s: And back again! By the mid-1960s another "about face" took place. In 1965, the National Advisory Council on Indian Education (NACIE) was formed -- a presidential appointed advisory council on Indian education established under Section 9151 of Title IX of the Elementary and Secondary Education Act of 1965, as amended (20 U.S.C. 7871). The Council is established to advise the Secretary of Education and the Congress on funding and administration of programs with respect to which the Secretary has jurisdiction and that includes Indian children or adults as participants or that may benefit Indian children or adults. The Council also makes recommendations to the Secretary for filing the position of Director of Indian Education whenever a vacancy occurs. In 1966, President Lyndon Johnson appointed an American Indian to become commissioner of Indian affairs, Robert Lafollette Bennett. In 1968, The National Council on Indian Opportunity (NCIO) was established by Executive Order of President Lyndon B. Johnson. This was a new U.S. governmental body established to facilitate Indian participation in U.S. government decision-making concerning Indian policy. In 1969, Senate Report 91-501 -- commonly known as the Kennedy Report -- was published by the Special Subcommittee on Indian Education, Senate Committee on Labor and Public Welfare. Titled "Indian education: A national tragedy, a national challenge," it said: "the dominant policy of the federal government toward the American Indian has been one of coercive assimilation" and the policy "has had disastrous effects on the education of Indian children." 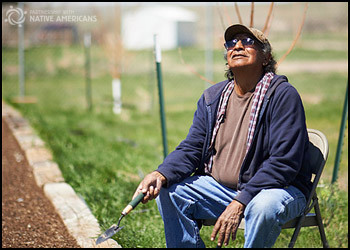 With the emergence of ethnic minorities into the American political scene, the Bureau of Indian Affairs modified Indian policy to serve the growing self-determination of Indian people. Congress encouraged the educational structure to be responsive to the needs, and under the direction of, Indian people themselves. Boarding schools made a number of curriculum changes and instituted all-Indian school boards. Indian Studies programs appeared in colleges, private foundations increased financial aid, and private companies were tapped for the first time.